The image above is prindet on the front of the T-Shirt, using high performance digital printing technology in full color with durable photo quality reproduction. If you want to put your own design on the T-Shirt, please contact me. This is not a mass production t-shirt. We print only 100 of each shirt style. Perfect with jeans for a casual look. We guarantee that our very good quality T-Shirt is one of the best in the market. Below you will find all available sizes. 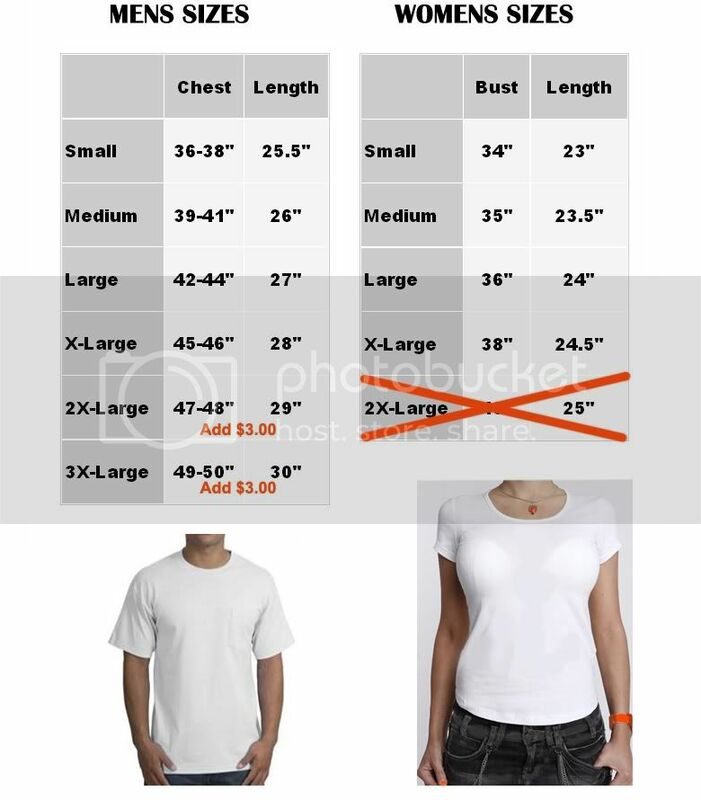 so you can get the best fit possible and be comfortable in your new T-Shirt. without checking the size from us. Extra $3.00 We will be charged for 2XL and 3XL size. I will send an invoice from Paypal to cover the extra expenses. GENDER, COLOR and SIZE, or sent me an message for GENDER, COLOR and SIZE. I will automatically send you the random GENDER, COLOR and SIZE. ThisT-Shirt is custom made and shipped directly from a manufacturer located in Hong Kong.